What do we do when someone asks about our past events. We would deliver it in a chronological order like a story. Human Brain consists of episodic memory that could store information in a certain format and retrieve it accordingly. Hippocampus is a part of the brain associated with memory, emotions and motivation. This gets activated when a person is involved in the process of storing an information for a long term. According to a recent discovery by scientists, animals like rats can also reproduce a similar thing when trained properly. The study has been conducted by American scientists from Indiana University in Bloomington under Jonathan Crystal when they were actually involved in the study of Alzheimer's disease. The article about the study was revealed in The Current biology journal. 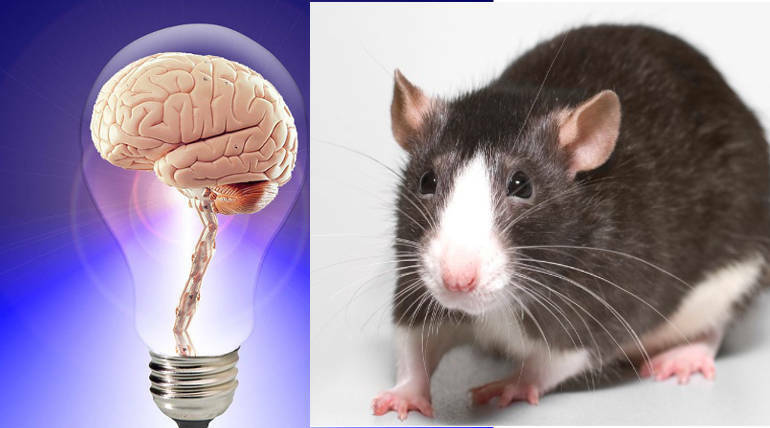 The conclusion has been made by conducting an experiment that involved training 13 rats to store the 12 odours in memory on some conditions like the animal should use hippocampus and not use any other type of memories available in the brain. The rats were tested one by one in a separate place where many different flavours were kept. The rats were provided two tubes, one with the second or fourth smell from the end and the other tube with other with fifth or seventh smell with the smell changing periodically according to an order that they have been asked to remember. The rats have to identify the second or fourth flavour from the end for receiving a reward. Around 90% rats got through the experiment. Semantic memory is another major one in the Brain that just stores a general information about a thing. For example, the size, shape, colour and similar features of an object.